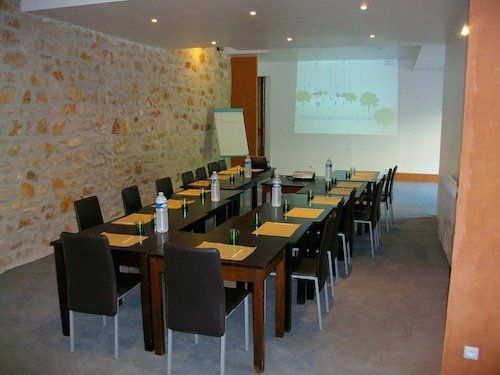 Business Seminar in the very heart of Nature in the Ardèche Gorges . Our Conference Room can accommodate around fifteen people for seminars. Its architecture adapts the existing old, local stone to create a contemporary, hi-tech and comfortable atmosphere. The price of this service includes the necessary equipment such as flip-charts, video projector and WiFi connection. Tea and coffee breaks, breakfast and meals are some of the essential “comforts” that we can offer. Don’t hesitate to contact us for all your seminars so that we can discuss our best offer with you.